Jason is the CEO of test.ai, which is redefining how agile teams test their mobile and web apps. He was recently the director of engineering and product at Applause.com/uTest.com. 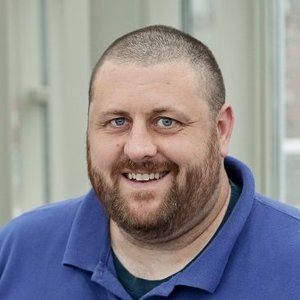 Jason previously held engineering leadership roles at Google (Chrome/Search) and Microsoft (WindowsCE, SQL, BizTalk, Bing) and coauthored How Google Tests Software and App Quality: Secrets for Agile App Teams. In his spare time, Jason likes to read up on AGI and consciousness and is working on a new personalized search engine. The most significant challenge for app teams in today’s Agile, Continuous Integration (CI), and DevOps driven world is just making sure the app still works like it did yesterday. There isn’t enough time to manually test each build, let alone craft test automation. Even when teams do try to test, it adds days of delay and hundreds of thousands of dollars of cost, and app teams still aren’t happy with the results. Jason shows how Artificial Intelligence (AI) and Machine Learning will solve this problem at scale. Learn how AI can be taught the most critical user flows in your app and how the AI can verify that each new build still works without regressions in functionality or performance. Better, the AI, just like a human, can deal with variances in the design of flow the app–the AI focuses on user intent like logging in, searching, sharing, selling or buying. Better yet, AI verification systems, just like humans, can run on more than one app, so app teams can merely borrow user flow tests written by other groups. AI is ushering a new world free of most mundane and expensive testing and grants early adopters with a lower risk, faster ship, and Agile cycle. AI will soon be your favorite teammate. See how AI can do all the tedious work so you can focus on the fun stuff.